Moving heavy loads in spite of small operating ranges requires tower cranes designed for this specific purpose. 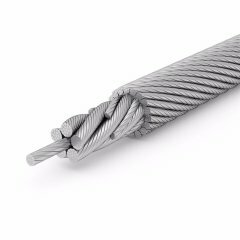 Accordingly, the demands of tower cranes on high performance steel wire ropes are very special. By means of the rotation resistant TEUFELBERGER hoist ropes, loads can be lifted and lowered safely, efficiently and reliably. In the lifting process, loads must be positioned exactly without being twisted. 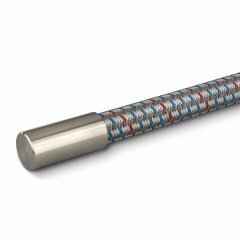 Depending on the application, TEUFELBERGER offers compacted or non-compacted rotation resistant hoist ropes for all common tower cranes. 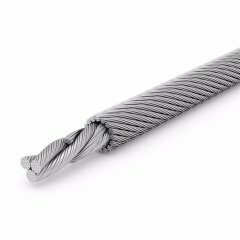 As a matter of course, suitable rope end terminations, as well as tests and acceptance certificates are part of our delivery program. 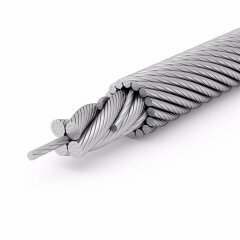 The new high end hoist rope featuring maximum breaking forces at rope grade 1960. EVOLUTION TK17 excels as hoist rope with high flexibility and a complete package of technical features.